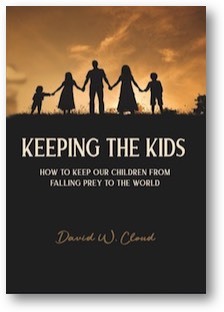 This book aims to help parents and churches raise children to be disciples of Jesus Christ and to avoid the pitfalls of the world, the flesh, and the devil. Statistics show that a frightening percentage of children that grow up in Bible-believing churches drop out when they reach adolescence. They either go full-fledged into the world, or they remain on the periphery of church life, or they join a contemporary church that essentially promises them they can have Christ and the world, too. We are convinced that this does not have to happen, because God has given promises in His Word about child training, but winning the battle is not easy and requires complete dedication by the parents. The book is a collaborative effort. It contains testimonies from hundreds of individuals who provided feedback to our questionnaires on this subject, as well as powerful ideas gleaned from interviews with pastors, missionaries, and church people who have raised godly children. The book is packed with practical suggestions and deals with an extensive number of issues: Conversion, the husband-wife relationship, the necessity of permeating the home with Christian love, mothers as keepers at home, the father’s essential role as the spiritual head of the home, child discipline, separation from the pop culture, discipleship of youth, the grandparents’ role in “keeping the kids,” effectual prayer, and fasting. The book warns about the destructive power of hypocrisy, neglect, bitterness, carnal criticism, anger, and of fathers provoking their children to wrath. It describes how parents can win and keep the children’s hearts. It shows how to have family devotions and how parents can train their children to have a daily Bible reading time. It emphasizes the importance of raising children in a sound church and lists the characteristics of such a church. Book: Softcover, 482 pages, 5.5x8.5 in.